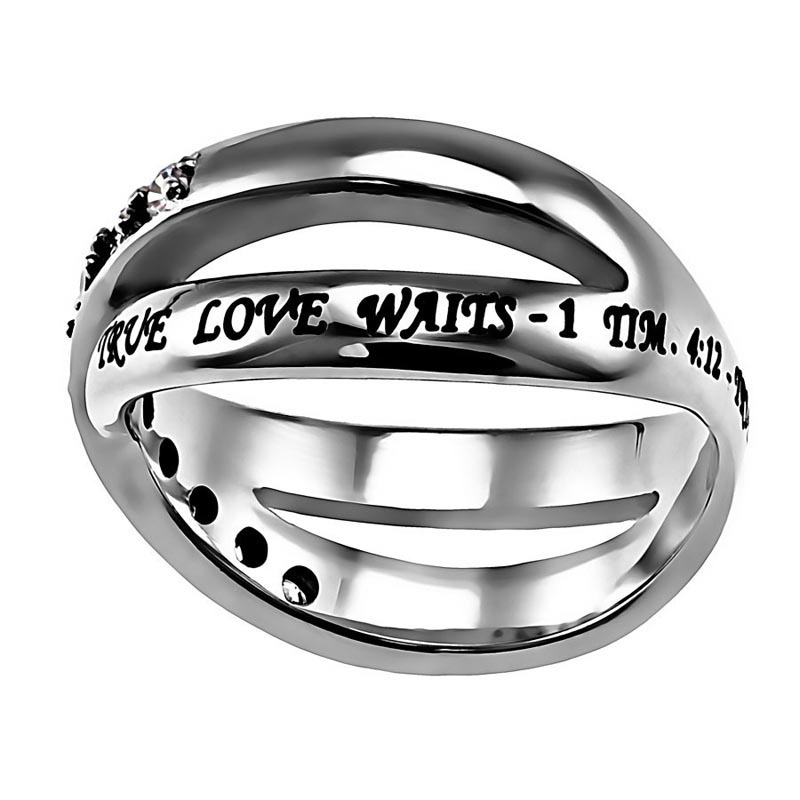 Stainless steel, high polished, twin band ring. 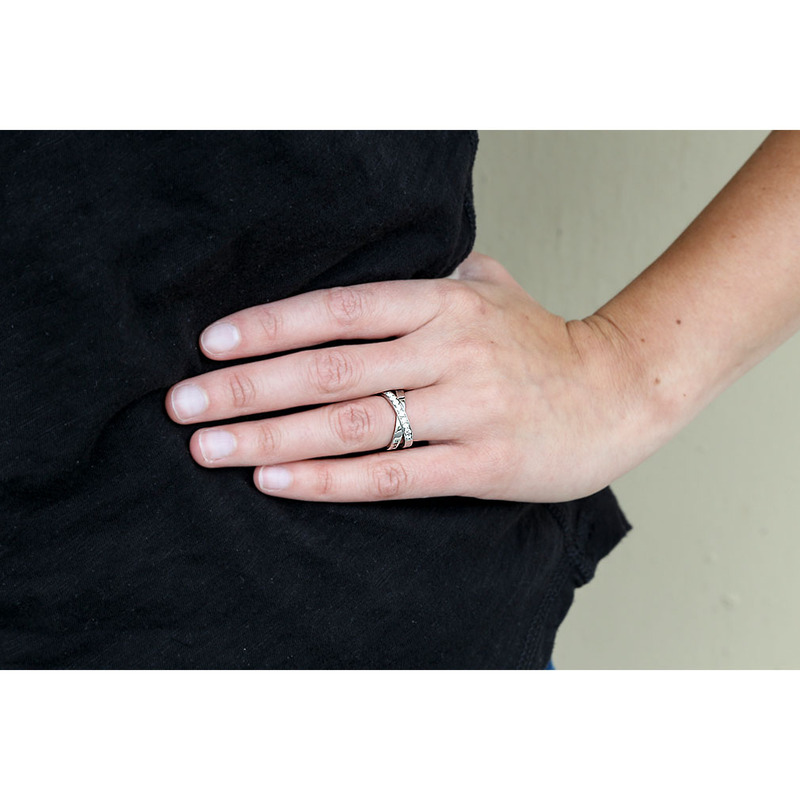 One ring has 9 set cubic zirconium stones covering one half side. 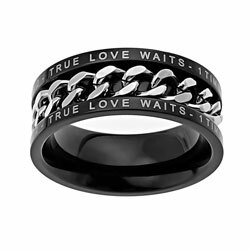 Second ring has black scripture engraving reading, "True Love Waits – 1 Tim. 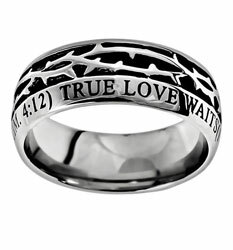 4:12 True Love Waits – 1 Tim. 4:12”. 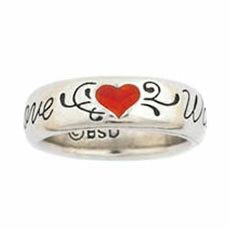 This is a solid one piece ring. Had this ring for one month and 2 of the stones fell out. Terrible. 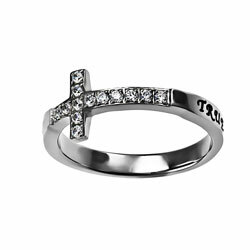 I was so excited when I got this ring, it was absolutely beautiful, exactly like the picture. Although a month later one of the diamond fell out, so I contact them, they said to send it back witht he form filled, I did. That was over two months ago and I never got an answer or my ring/refund back. Sent emails but never got an answered, extremely disappointed. 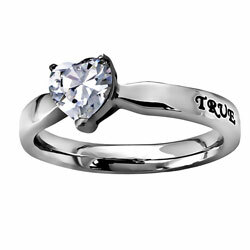 I was soo excited when I got this ring! 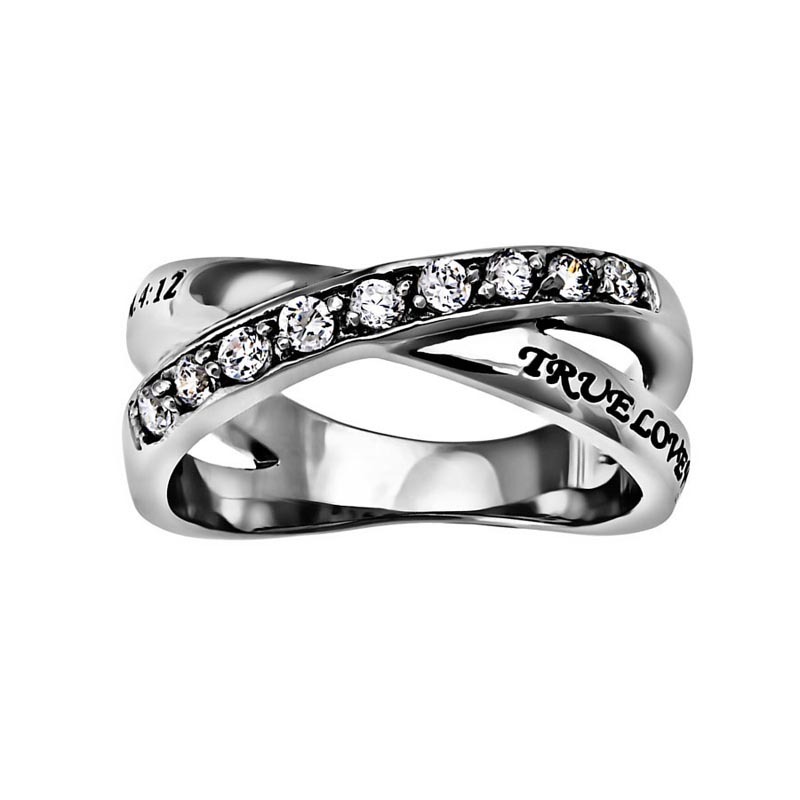 It's beautiful, looks exactly like the picture, but not even three months into wearing it, one of the diamonds fell out.. Really disappointment. Fit is great and very pretty but the words are hard to read.